6 Pack for Sale- the happy Flasher!! If you are needing some dependable, durable and powerful flashes without spending an arm and a leg I’ve got an AWESOME deal for you. 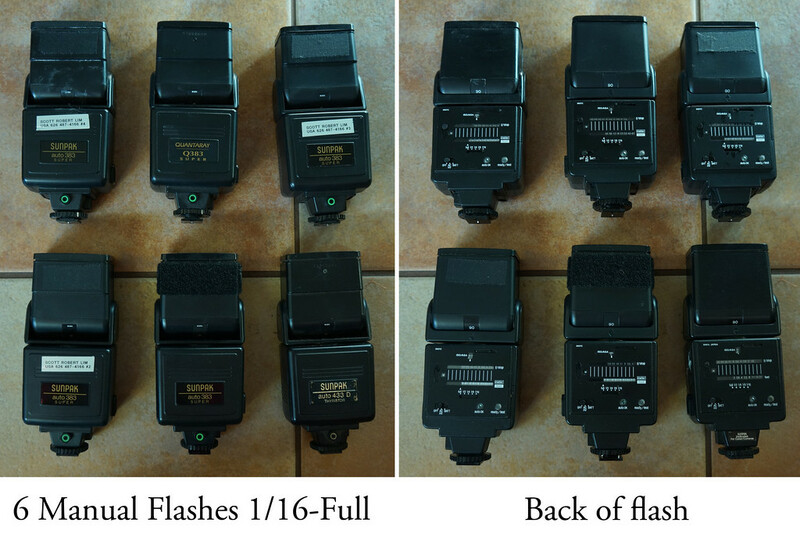 I’ve tested all these flashes, some I barely used and they all work great. They don’t make things like they use to so these durable flashes were industry standards back in the day. In fact you can still find these babies on Ebay and they go for around $90 still!! 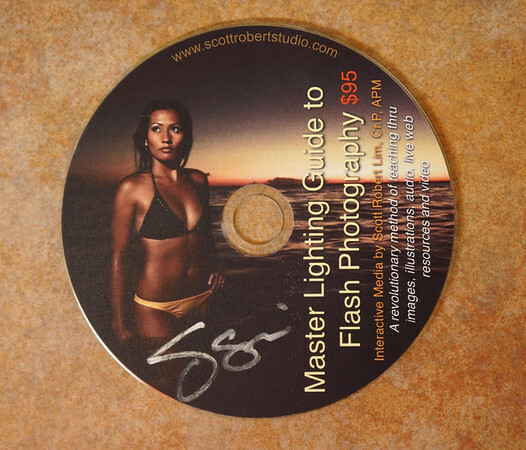 I’m gonna include my $95 Learning guide on CD for FREE and my collector flash guide set of 9 flash guide cards! If you would like my trigger system that would fire ALL 6 OF THESE FLASHES off camera with a dependable radio system- just add $300 and you get 1 transmitter and 6 receivers!! All nine flash guide collector cards! Brand new set, USA warranty!! $595 for the entire rig!! Includes FREE shipping! Wow, that is about the cost of one Nikon SB900 or Canon 580EXii!! I am so obsessed with the workshop “Crazy Stupid Light” which is happening currently and decided to purchase couple of flashes and transmitters/receivers for Canon (I use T2i). Can you please let me know if you have the manual flashes still available as I see they are sold out in your website. I am a newbie in flash photography. so, could you suggest me on which flashes to go on with. Also, can you let me know if the CD is available for free with the purchase of these flashes and transmitters/recievers. admin - It’s not sold out, go ahead and purchase again!